Risotto, pasta, burger, wraps and enchiladas are some of our favourite foods when we think of International cuisine. How about making these with some iron rich ingredients like beans, spinach, asparagus, ragi and so on… This section is an attempt to enhance your culinary skills in this field. While maintaining the flavours and cooking style and just adding iron rich ingredients, we have conjured up recipes like Herb Rice with Creamy Mushroom and Asparagus Sauce, Chawli Beans and Mint Burger, Spaghetti in Spinach Sauce and many more…. Of course we haven’t missed out on soups and starters. Recipes like Rajma Soup and Garlicky Hummus are perfect examples of this. 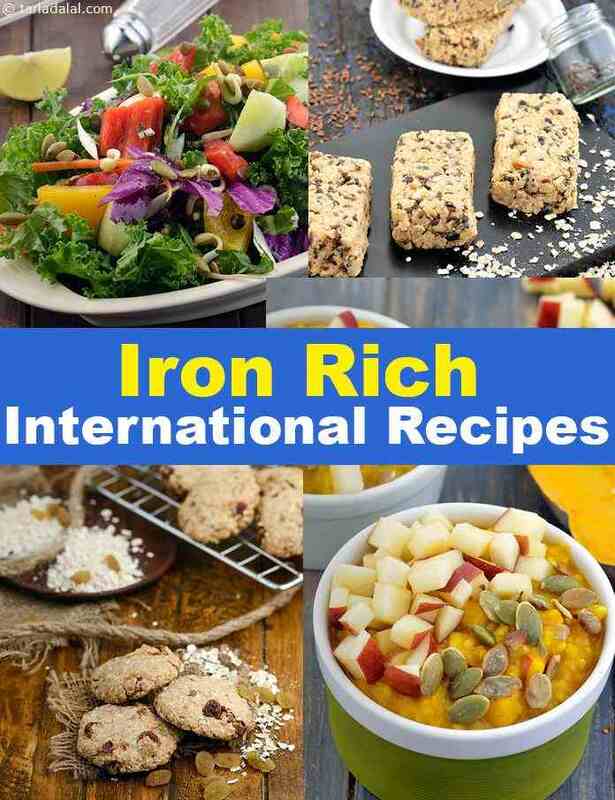 So next time you want to enjoy International recipes with an additional touch of iron, definitely try out the different options shared in this section.